I've been running quite a few small local races over the last month and haven't really had much chance to recap on them, so I'm going to combine them into one post. In September I was feeling a bit homesick, so I made a last minute trip over to Broomfield the weekend of the 20th to the 22nd. It just so happened to also be the weekend of Broomfield Days - a festival type weekend with vendor booths, a parade, Friday night bingo (always a favorite), and a 5K race. Growing up in Broomfield, I've done all of the other typical Broomfield Days things, but I have never done the 5K - so of course, I had to do it. An added bonus was that Amy and her sister Angie would be running it too! My mom decided to do the 1 mile fun run as well. So we had quite a few people, and a good time! The course hits all of the major Broomfield "sights" (if you can call them sights). It starts at the fire station (right at the heart of Broomfield days), heads east down Midway, veers right behind Nativity, crosses Main Street, goes past the Library to the skate park, loops back around the other side of the Library, and then heads back towards the start. I tried to stay with Amy, who's always been a faster runner than me, but about half way in, I fell back a bit. She's just too darn fast for me! But I kept my face up fairly well and finished in 25:47 (8:19 average pace). We waited around for the awards and much to my surprise, Amy got first place in our age category and I got second! It was a bit of a shock to me, especially since Amy had a faster time last year and didn't place. But I guess it's all about who shows up that day! Amy and I with our awards! 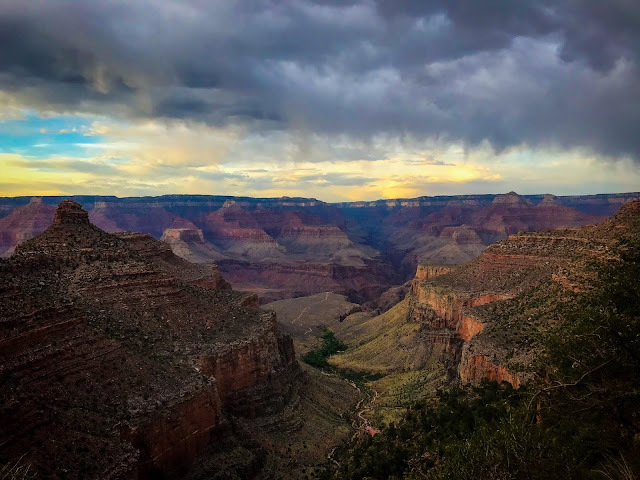 The third annual Black Canyon North Rim 20K and 8K was scheduled for October 13th this year. 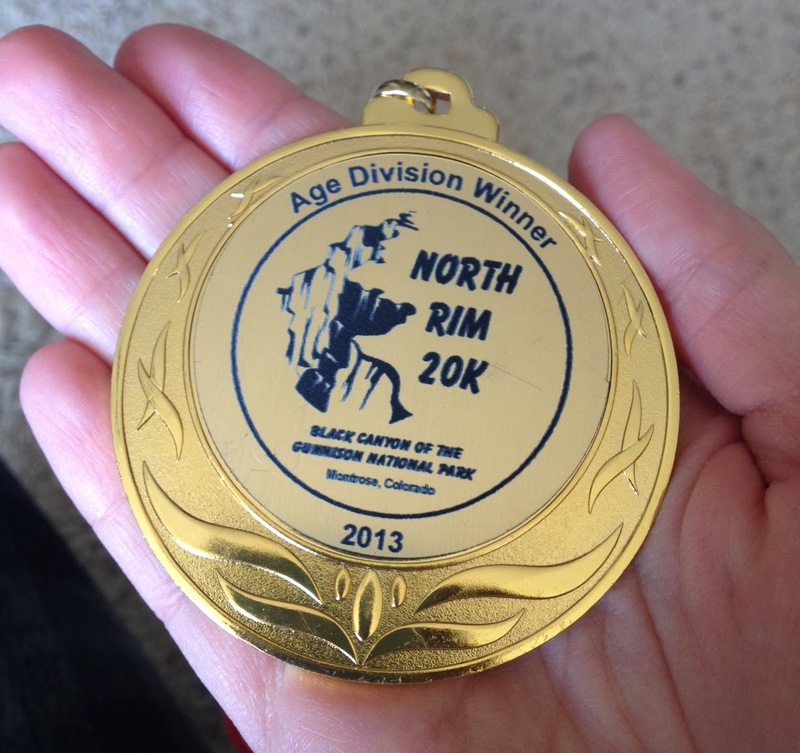 As some of you may remember, I did the 8K last year, so I of course wanted to do the 20K this year. Especially since it's a local race put on by the San Juan Mountain Runners (which I am a member of), and doesn't cost too much (cost is the main decision maker when choosing races - you'd be surprised at how expensive some of these races are!). Well unfortunately, the government had other plans for us this year. Due to the government shutdown, Black Canyon National Park was closed for race day. Luckily, Jan, the race director did an awesome job finding us an alternate course in the Leroux Creek forest area above Hotchkiss. 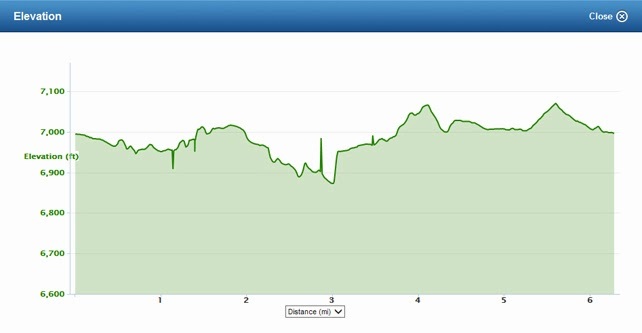 I had wanted to run the 20K (12.4 miles) at a sub-9 minute mile average pace, but due to some gruesome (although beautiful) hills in the beginning few miles it didn't quite happen. My first 5 miles were between upper 9's and 10s (plus one 11). After mile 5, the course was all downhill, which was a nice reward for completing the first hilly 5. I ran all of the remaining 7 miles under 9 minutes each, several being around 8:15. Overall I was quite happy with my performance. The downhill section of this gave me an inkling of hope that if I keep running and train hard, I may someday actually be able to qualify for Boston (a bucket list dream ever since I got serious about running)! That's not something I'm planning to try for anytime soon, but it was a nice feeling to be running low 8 minute miles without feeling like I was going to die (to qualify for Boston, I would need to run a marathon in 3:35, or an average pace of 8:12 - but personally I would want to train to run it with an average pace of 8:00). I ended up coming in first in my age group for the 20K with a time of 1:53:00! But don't go congratulating me just yet as I'm also fairly certain that I was the only person in my age group. But since I felt like I ran really well for me, I'm going to take it as an accomplishment! And whose to say if there had been others that I wouldn't have still won right?! Views from this years alternate course. Elevation Profile - look at all that loss! It makes the hills at the beginning look tiny, but trust me, they weren't! We added a little spoof to the shirts: "Government Shutdown: Nobody Wins!" I signed up for this race kind of last minute. I remember hearing about it a lot at last years Black Canyon North Rim race, so when we got an email reminder about this years, I decided to sign up. I've only done one other "official" 10K race, so I thought it would be a good chance to try and PR. Well what I did not know (although I probably should've figured with it being in Ridgway), was that the course, while absolutely beautiful, was not a great one to try and set a personal record. 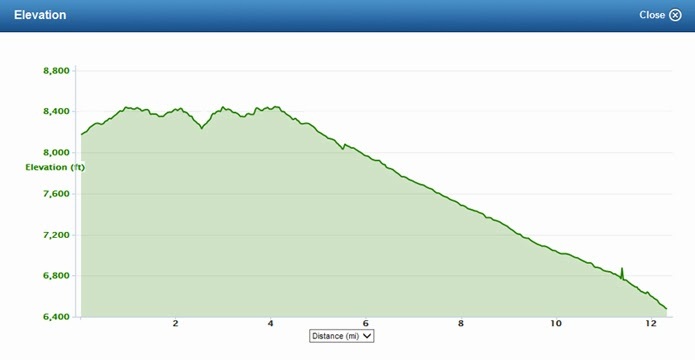 It was very HILLY! My current personal record is 56:51, set back at my only other 10K - the Fruita Sweetheart 10K last February. Well I tried to run fast, but it just wasn't going to well. I struggled up the hills and tried to make up for it on the downhills, but it wasn't enough. I finished in 58:46 according to my Garmin (I do not know if they post official results, so I'm not sure what my official "race time" is). It was an average pace of 9:21. Not bad considering the hills, but not my sub-9 minute pace I wanted (I just seem to be having a lot of trouble achieving that lately). As I mentioned above, the course was beautiful. Although, it wasn't necessarily the "course" that made it beautiful. I think any course in Ridgway would be beautiful. 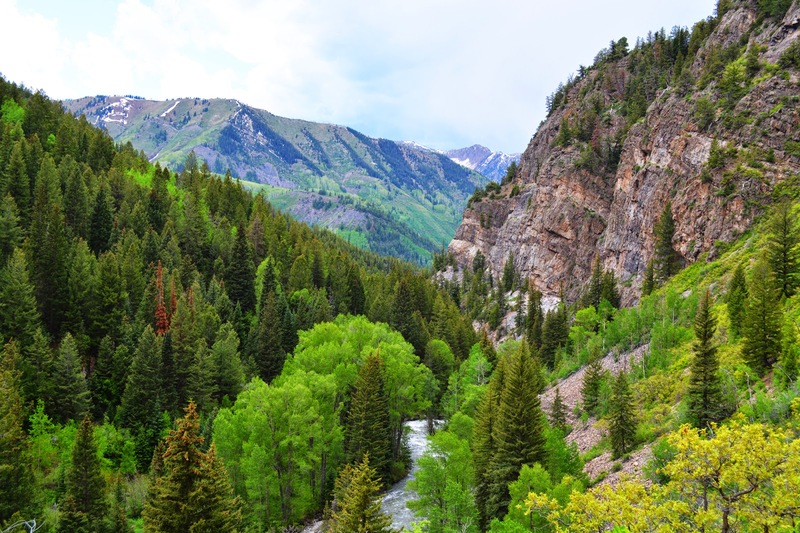 Magnificent views of both the Sneffels Range and Cimmaron Range are just right there! We did run about a mile and a half along the Uncompahgre Riverway Trail which was pretty, although definitely past it's prime fall beauty (I'm not sure if I've ever mentioned this - but Montrose has an Uncompahgre Riverway Trail too - I think I read somewhere that the plan is to someday connect them to each other - how neat would that be!). I was a little surprised that there weren't any of the typical Montrose runners that I usually see at local races. But I still hung around after the race for the awards ceremony and raffle. I don't know any stats other than that I was the 4th place women (because the lady in front of me got a 3rd place award). Overall, I'm glad I did all of these local races. They really showed me that "winning" really is all about who shows up that day. And it's kind of fun to actually win every once in awhile (especially when I'm not expecting it!). I'd like to do 1 more race before 2013 ends, just because that would put me up to 12 total races in 2013 (or an average of 1 race per month), but I'm not sure of any I would do. I would love to do the Moab Winter Sun 10K in December, but it's fairly far away, so it's still up in the air. Other than that, the amount of races in Colorado are starting to dwindle as winter sets up, so who knows! Last, one other somewhat exciting announcement: I officially signed up (and by "officially" I paid a non-refundable $85 registration fee) for my first Ultra Marathon!!! The 24 Hours of Moab 50K put on by Gemini Adventures. It's a whole weekend of activities including a 100 mile race, a 24 hour race, a 100K, and a 50K. I'm pretty excited about it. I knew I wanted to do my first Ultra sometime next spring, but I was having trouble deciding on one. But I finally took the plunge! And I can't wait. It will be on March 22nd, 2014!